CRF Domestic Violence Workbook | Child Rescue Foundation, Inc. This workbook was developed by the Child Rescue Foundation, Inc. The purpose of this guide is to assist adults and children impacted by family violence in their recovery to a more safe and peaceful way of living. This guide is intended to be used by professionals that support domestic violence victims and for victims who want to empower themselves with some tools necessary to stop the cycle of family violence, and to regain safety in their lives. With any drastic change of life, set backs are common. Feeling alone is a normal part of the process. However, each recovery process is unique. You will find weekly-suggested guides, exercises, reading materials, daily affirmations, worksheets and support statements from others who have gone before you. Feel free to keep it with you, and a copy with a trusted individual. Take this guide and use it to keep focused on the positives that lie ahead. 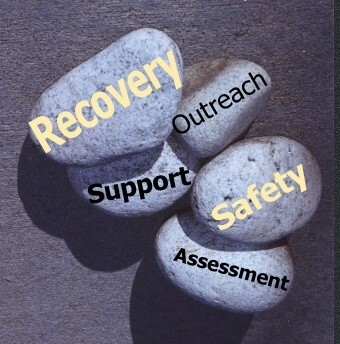 Remember to always seek the professional help of police, victim’s advocates and therapists when needed. The Awareness Workbook for Victims of Domestic Violence and Stalking is 146 page step by step manual for children and adults seeking to recover from domestic violence. Please call: 303-628-0477 for processing information.